Cue the air horn, the fireworks, and the confetti: Hillary Rodham Clinton is running for President. YES YES YES! 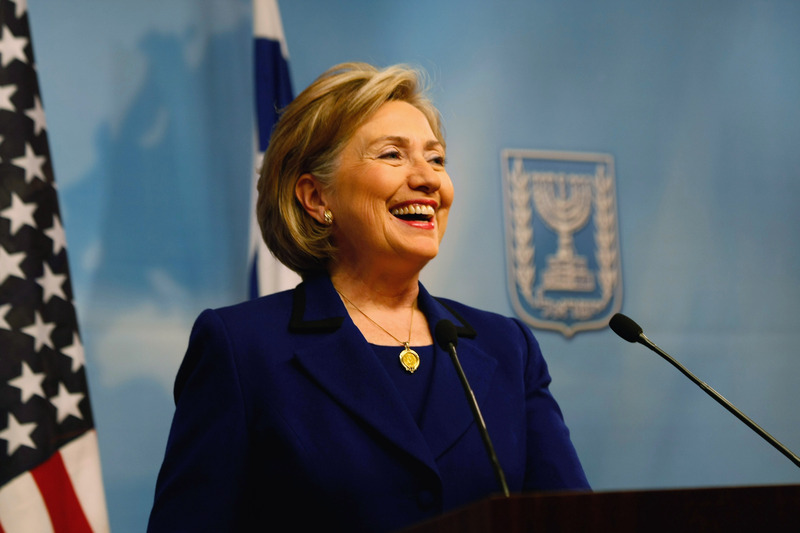 On Sunday, the former Secretary of State officially announced her 2016 bid for the Democratic nomination via the Associated Press. Given that this is her second time running for the Democratic party's nomination, and given her decades of experience as a prominent figure in the political sphere, she's no stranger to this rodeo. And part of that rodeo involves political parodies. If you take a wrong turn (and by "wrong turn" I definitely mean "right turn") while surfing the World Wide Web, you will find yourself up to your eyeballs in Hillary Clinton spoofs. Some celebrate Clinton, some skewer Clinton, some are genuinely clever, some of them are so offensive you'll wish you could take back the click, and some will leave you blankly staring at your computer monitor. SNL has given us so many outstanding impressions of Clinton that it's difficult to choose a favorite. However, Poehler's is iconic. The script hath been flipped. The parodied is doing the parodying. SO MANY WIGS. I call shenanigans. No way would Clinton lose an MK battle. Do I understand Russian? Nope. But that didn't deter me from watching this three times in a row. Frankly, you could play Imogen Heap's "Hide and Seek" over ANY clip and it'd make me laugh.